Little Barn01263 715779work01603 870304fax Self-cateringThis pretty barn conversion offers a peaceful rural base from which to explore all that Norfolk has to offer. Tranquil paths and lanes are perfect for walking or cycling, and such diverse attractions as the coast, Fakenham racecourse and the city of Norwich are all within 30 minutes' drive. • Mobile signal - variable. 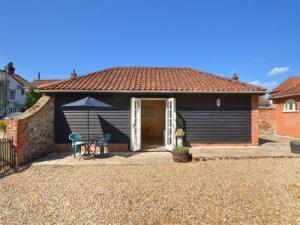 This pretty barn conversion offers a peaceful rural base from which to explore all that Norfolk has to offer. Tranquil paths and lanes are perfect for walking or cycling, and such diverse attractions as the coast, Fakenham racecourse and the city of Norwich are all within 30 minutes' drive.